The Jurassic Coast, West Country accents and Thomas Hardy—we bring you the best things to do in Dorset. The third most southerly county in England, over half of Dorset has been designated as Areas of Outstanding Natural Beauty. Farmers markets, fairs and quaint local shops abound—but that’s not to say there isn’t thriving city life to be had too. Bournemouth is Dorset’s largest city, followed by Poole, with the latter home to some of the most expensive properties in the world. 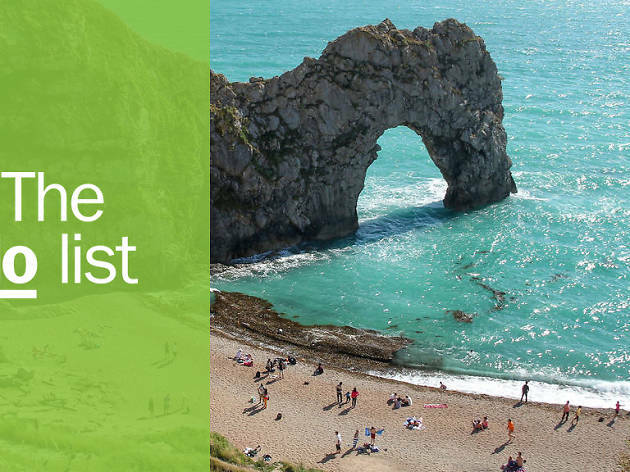 Whether you’re after a country escape or culture-fest, here’s our round up of the best things to do in Dorset. Where is it? Between Poole and Weymouth. What is it? 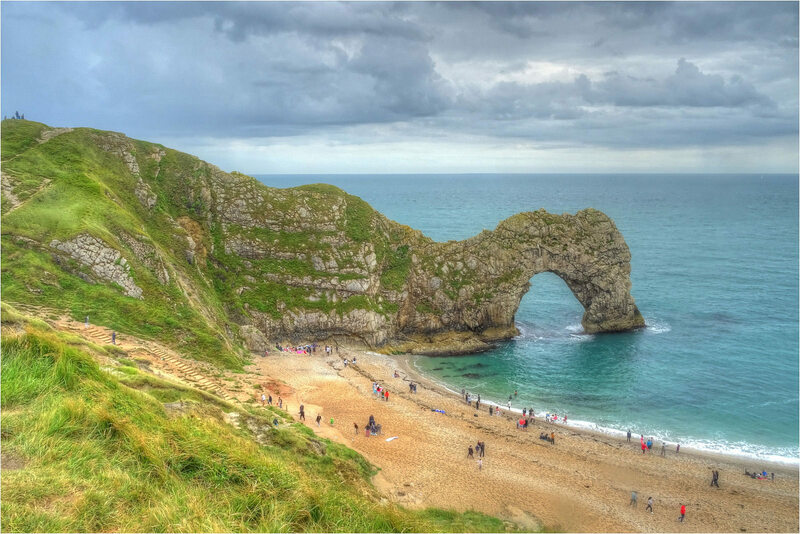 Located on the Lulworth Estate in south Dorset, Durdle Door is an entirely natural limestone arch, formed simply by waves eroding a hole through the middle. Why go? 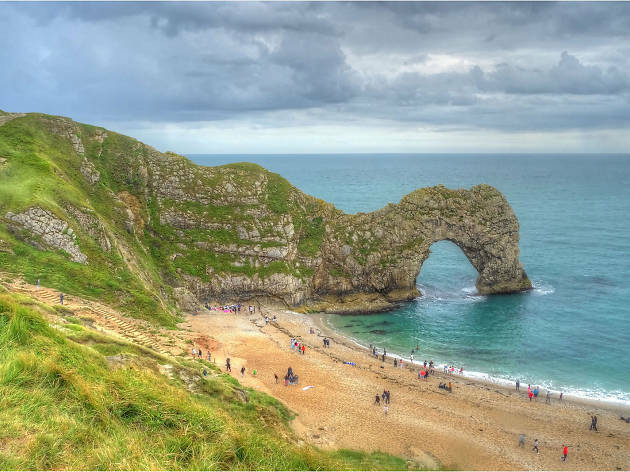 As one of Dorset’s most photographed landmarks, Durdle Door is worth the car journey. This spectacular coastline was designated England’s first natural World Heritage Site by UNESCO in 2001. It’s even in the same prestigious family as America’s Grand Canyon, and Australia’s Great Barrier Reef. Better on a sunny day, get there in time to enjoy a good Dorset sunset – a half hour walk will lead you over to similarly picturesque Lulworth Cove, perfect for a picnic. Where is it? West Dorset. What is it? Nicknamed ‘The Pearl of Dorset’, Lyme Regis’s beaches and cliffs form part of the Jurassic Coast. With a bustling harbour and rip-roaring independent shopping and dining scene, Lyme Regis is a year-round treat. Why go? 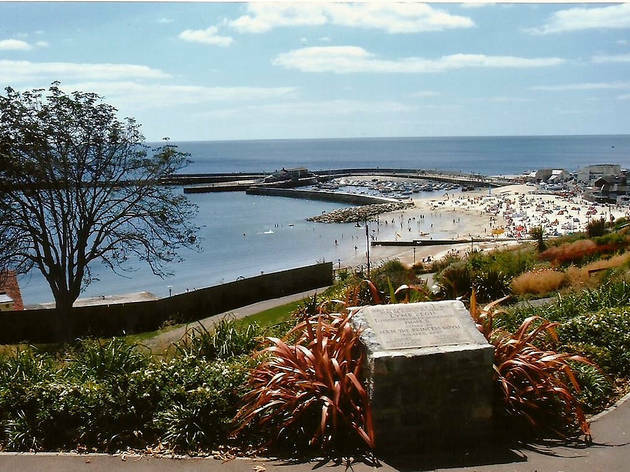 Lyme Regis is high up there on the list of places to visit within Dorset. A popular palaeontology spot for fossil-hunters, there’s even a dedicated annual Lyme Regis Fossil Festival. But if you’re more interested in frocks than rocks, you’ll find a handful of cute boutiques to browse, too. Wolf down fish fingers and chips at light and airy Hix Oyster & Fish House, before an ice cream chaser at local gelateria Frank & Beans (flavours include Apple Crumble and Eton Mess). While you’re in this neck of the woods, Hugh Fearnley Whittingstall’s renowned River Cottage HQ is only a few miles away. If you fancy getting stuck into a cookery course in a rustic farmhouse, this is the place. Where is it? Poole Harbour. What is it? 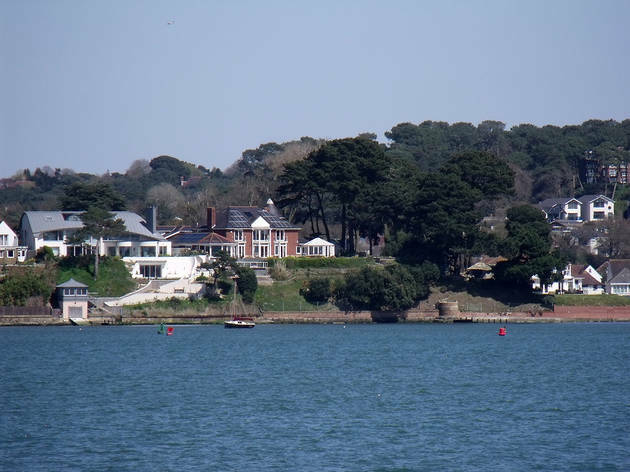 The largest of the islands in Poole Harbour, Brownsea Island is in fact where the Scouts originated from, back in 1907. Why go? 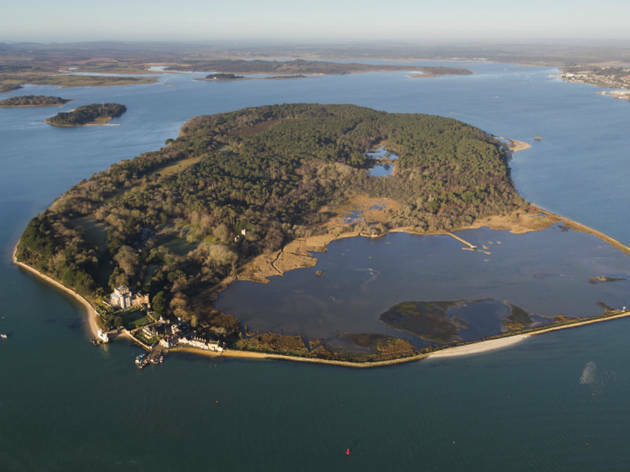 Accessible by ferry or private boat, Brownsea Island is home to a nature reserve and so, obviously, a great deal of wildlife. Most of the island is owned by the National Trust, but Dorset Wildlife Trust owns a portion of land, too. If you're lucky you might spot an indigenous red squirrel, spotted Silka deer or roaming peacock. The island features a visitor centre and museum, as well as a cafe for mid-afternoon cuppa. Consider booking tickets for Brownsea Open Air Theatre, which annually stages open air Shakespeare plays in the island’s unique setting. What is it? 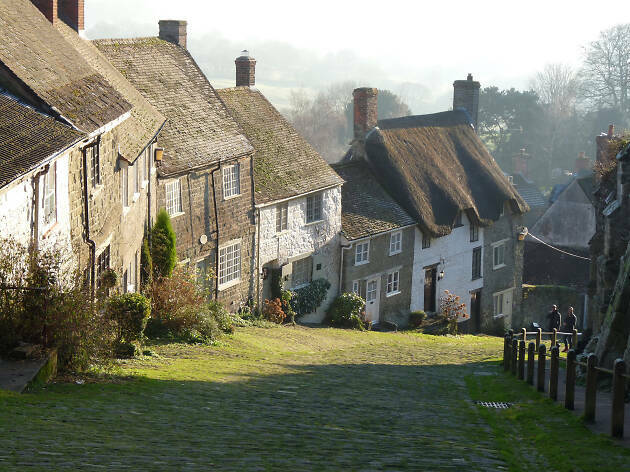 The only real hilltop town in Dorset, Shaftesbury overlooks the lush Blackmore Vale (part of the Stour Valley). Why go? Shaftesbury had a taste of fame in 1973 with Ridley Scott’s Hovis’s ‘Bike’ advert, which features an industrious young lad pushing his basket of loaves up Gold Hill. The hill looks exactly the same today, and hosts an annual ‘Cheese Race’, requiring contestants to cart 25kg wheels of cheese up the steep and cobbled street. Where is it? Near Dorchester. What is it? 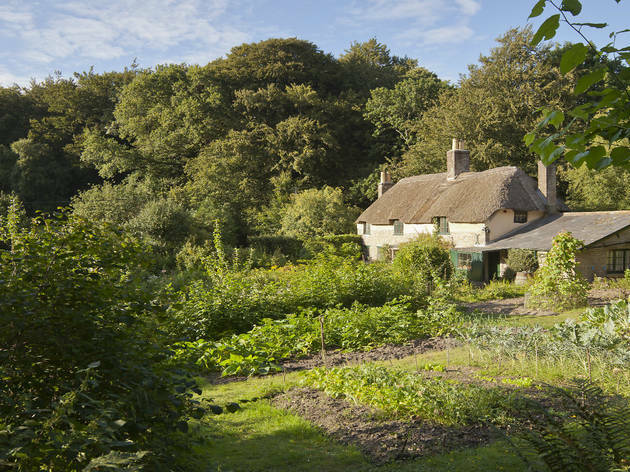 No author has captured the essence of the West Country quite like Thomas Hardy. His birthplace is the quintessential country cottage in Higher Bockhampton. Why go? Hardy was born in this cob and thatch cottage in 1840. Built by his great grandfather, it sits beside nature reserve and woodland Thorncombe Woods (visit in Spring for a bluebell-fest). Featuring a pleasingly cute English cottage garden, the house was left much as it was inhabited by the Hardy family. Unlike some historical houses and museums, visitors have access to all the cottage’s nooks and crannies. Venture into the author’s old bedroom, in which he penned early classics ‘Far From the Madding Crowd’ and ‘Under the Greenwood Tree’. To get the full Thomas Hardy experience, visit nearby Max Gate, the house the author designed and moved to on the outskirts of Dorchester. Both are National Trust properties. Head south to the coast for a glimpse of Chesil Beach, setting for Hardy’s ‘The Well-Beloved’ and, more recently, Ian McEwen’s ‘On Chesil Beach’. What is it? Heard of Sandbanks? This stretch of sand in Poole Harbour is the most expensive bit of coast in Britain. Why go? With its slightly flashy reputation, pricey Poole Harbour has been likened to Palm Springs (albeit with a chillier climate). Football manager Harry Redknapp famously lives here, and the streak of impressive multi-million pound houses along Sandbanks are certainly worth a nosy. After a spot of property window shopping, enjoy a slap-up fish lunch at revered seafood spot Storm. The restaurant’s fisherman owner is said to both catch and cook the menu. 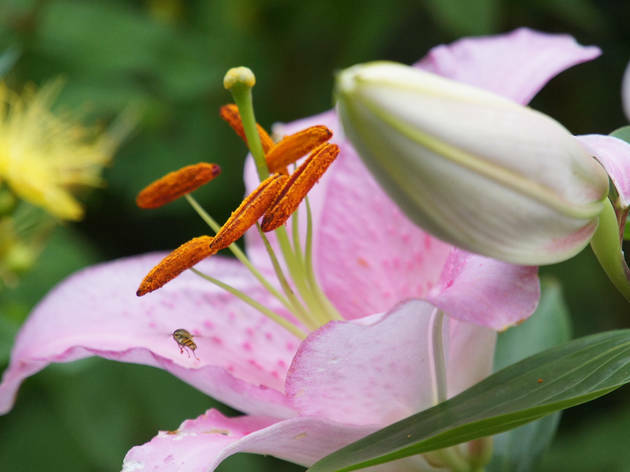 Flower lovers should amble over to Compton Acres – this privately owned garden is open to the public, and zoned with different themes: Italian garden, Japanese garden, heather garden, and a wilder, wooded area. Stop for a hot beverage at the charming tea room. Where is it? East along the coast from Lyme Regis. What is it? The pretty town of Bridport holds a popular farmer’s marker every second Saturday of the month. Why go? Voted the ‘best Farmer’s Market in Dorset’ in recent years, you can find over 30 local producers at this twice-monthly Bridport event. Cheese, chutneys, breads, meats, local veg – foodies will agree that there are few nicer ways to spend a weekend than idly browsing a market. 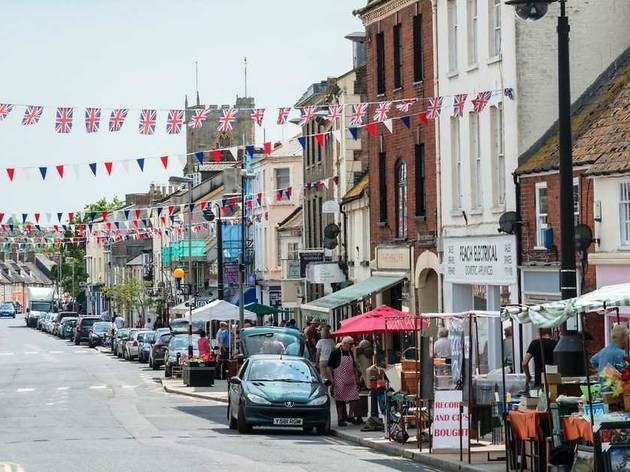 In fact, Bridport also holds a weekly market (every Wednesday and Saturday) selling bric-a-brac, clothing, flowers and food. Complete your weekly shopping trip by swinging by Furleigh Estate Vineyard and Winery for a bottle of local wine. Where is it? Just south of Poole. What is it? A bracing beach walk is a must when visiting Dorset’s spectacular coastline. Studland Bay in Purbeck features a four mile stretch of golden, sandy beach. Why go? 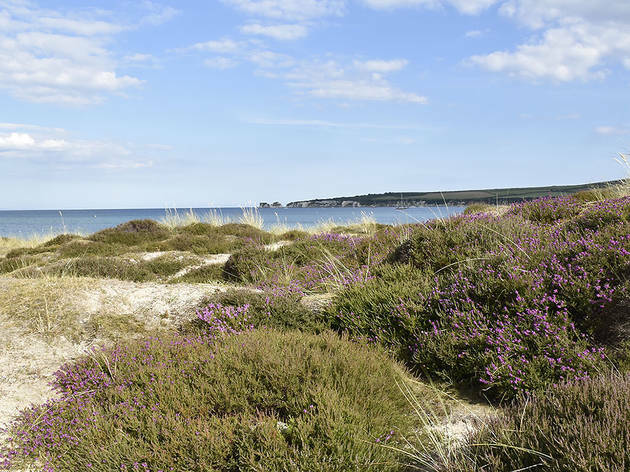 Whether you want to crash out on the sand with a good book, embrace a bit of water sport action or tackle one of the Bay’s designated nature trails, Studland Bay has something for everyone. An (almost) 1 kilometre stretch of beach is a designated naturist zone, if that's your bag. Beloved hotel and restaurant The Pig is mere moments from the beach and offers simple British garden food as well a snug room for the night. What is it? For a taste of the tropics, visit the lush Argyll gardens at Alum Chine. Why go? Alum Chine beach is quieter than those beaches close to Bournemouth town centre, and along with nearby Argyll gardens this is the ideal spot to spend a peaceful morning. Believed to have origins in the 1920s, the tropical garden thrives because of its (very localised) micro-climate. Capture the very essence of the British beach break by renting a pleasingly pastel-hued beach hut, situated along Bournemouth’s seven miles of award winning beaches.